Highlighting the need to focus on people in order to realize inclusive growth, he highlighted four segments of society whose interests deserved attention. First, the empowerment of women should be included in development efforts, he said, emphasizing in particular that early marriage must be eradicated. 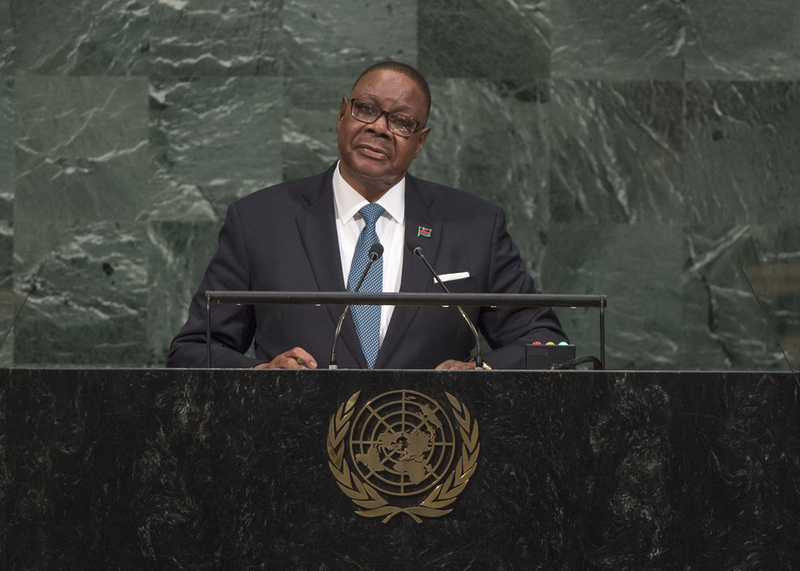 Malawi had made progress on protecting the rights of women and girls, he said, adding that the country had passed a law against marriage below the age of 18 years. The Government was committed to promoting gender equality and girls’ empowerment in order to reduce the vulnerabilities of women and adolescent girls to violence and abuse, he said. He went on to state that the interests of young people must also be protected to ensure inclusive growth, recalling that the African Union had declared 2017 the Year of the Youth since the continent had the fastest growing youth population. Malawi had increased access to tertiary education and introduced programmes to provide technical and entrepreneurial education to youth lacking opportunities to attend university. The journey towards inclusive growth must also include people with disabilities, he said, adding that Malawi had reviewed its policies on education, health and trade to include them. The country had also made strides in eradicating attacks against people with Albinism, he said, pointing out that no new attacks had occurred in the last six months. Protecting the interests of agrarian communities was also crucial because their livelihoods had been affected by climate change, he continued, noting that 85 per cent of Malawi’s population were from agrarian communities and had borne the brunt. The country had implemented social protection initiatives, such as cash-transfer programmes, food for work and school feeding programmes, to protect those communities.